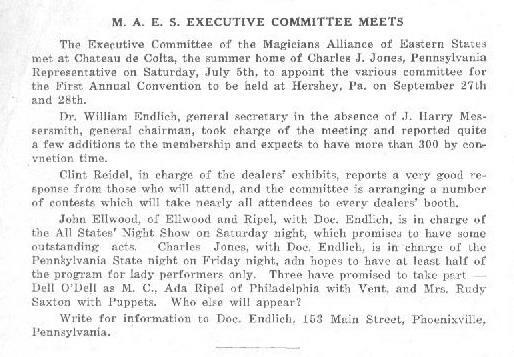 Here is an article about the first MAES Convention. We don't know the date or the magazine. If you know either of these, please let us know.